Located in Fond du lac County, WI, our 35 volunteers serve a community of 3500 residents in a territory covering 36 square miles, without pay or stipend for training, meetings, fire or medical calls. We provide a cadet program for young adults ages 14 to 18 to explore the fire service and help them determine if volunteer or career firefighting interests them. Cadets participate on a limited basis in training and, occasionally, on the fireground. 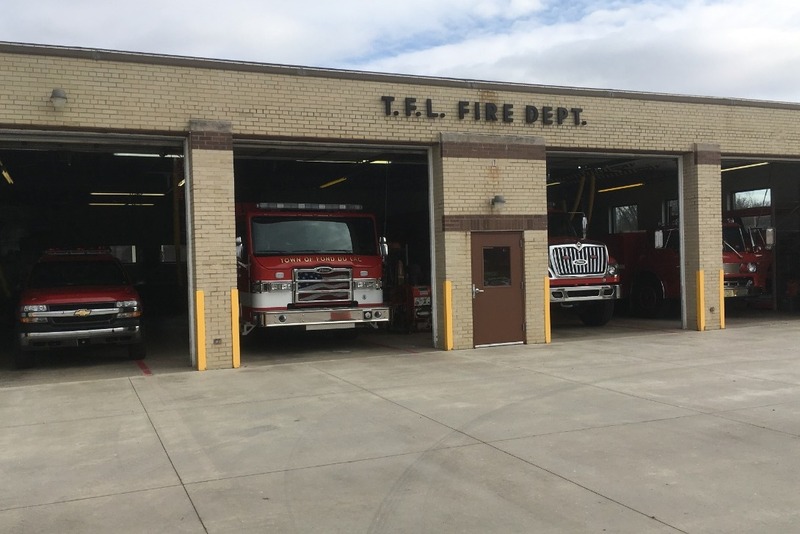 This program has produced several career and volunteer firefighters. We also provide internships for students obtaining their fire science degrees to pursue career fire service. It costs, on average, $6500 to properly equip a firefighter with turnout gear; coat, pants, boots, 2 sets of gloves, Nomex hood and helmet. Each firefighter, including interns and cadets, must have full and complete turnout gear in order to participate in training or an active scene. The fire service is governed by the National Fire Protection Agency (NFPA), which dictates, under NFPA Standard 1851 , that all turnout gear be replaced every 10 years in order to adequately protect the life and safety of a firefighter. 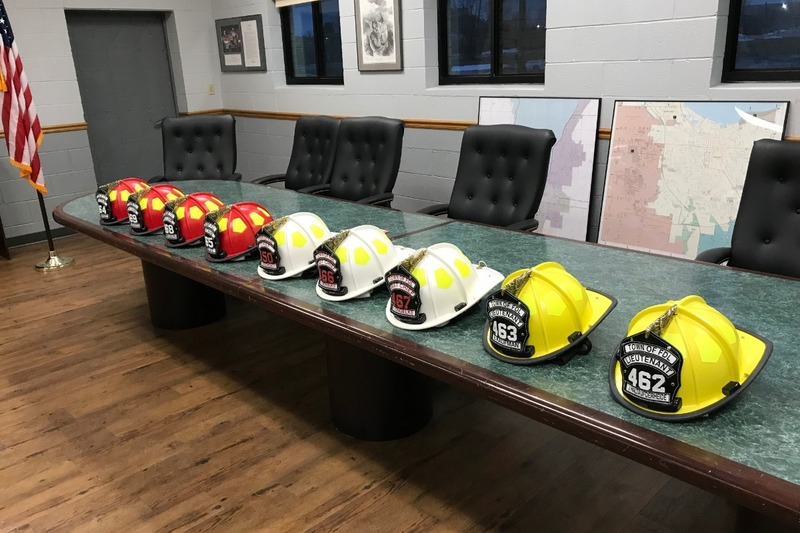 We currently have 40 helmets available for active members and only 3 of those meet the standard set forth in NFPA 1851. During the past two years we have been aggressively pursuing grants and other funding sources and while enjoying modest success, the grant process is time consuming and offers no guarantee of funding. Our immediate need is to replace helmets to comply with the NFPA standard. 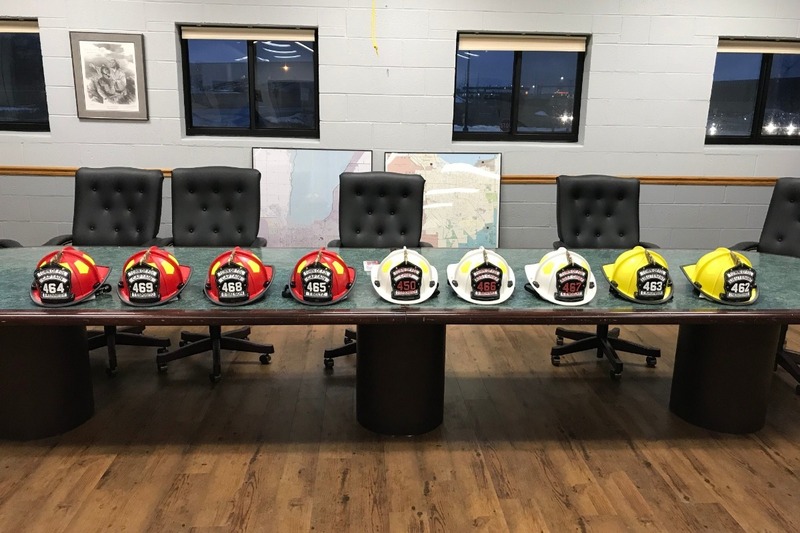 With the average cost of a new fire helmet at $550, we need to raise $22,000 just to replace the 40 helmets we currently have in service. The replacements will be traditional-style fire helmets with all-new composite construction that provides state-of-the-art protection for our members while meeting the standards outlined in NFPA 1851. Our number one priority in the fire service is personal protection followed by the protection of the life and property of our residents and the surrounding communities. Your donation will help "Protect Those who Protect Others." In addition to our immediate need of replacing helmets to meet the NFPA standard, our self-contained breathing apparatus (SCBA) are nearing their service life of 15 years, and 16 units will need to be replaced in 2019. Each SCBA averages $8500 per unit, with a spare air bottle for each. 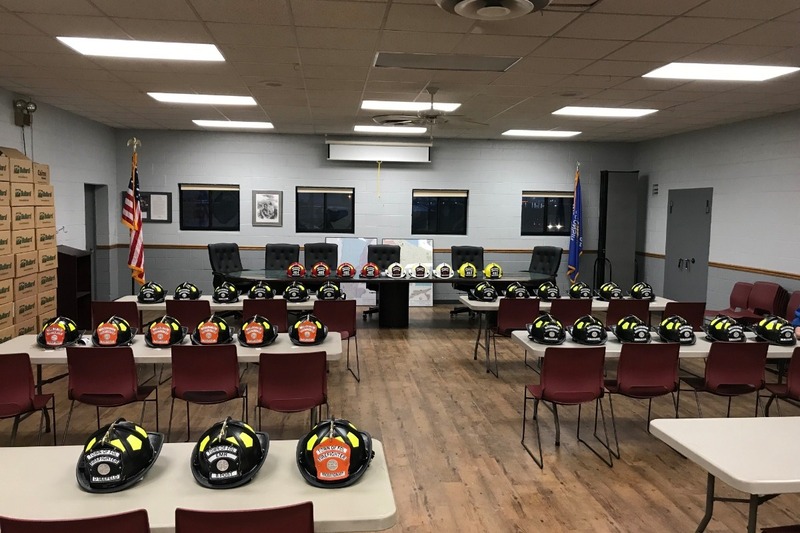 If you are generous enough to support our mission of service to the community, know that any money collected in excess of the amount needed to become NFPA compliant with new helmets will be directed toward the replacement of SCBA or other important personal protective equipment for our current and future members. They have arrived, 37 brand new Bullard traditional style fire helmets. Thank You once again to all the great people and organizations who donated to our campaign to make this a reality. We are humbled and inspired by this great effort, one that we will never forget ! I don't feel that words can describe the excitement and honor our members are feeling at this moment. When we started our campaign we felt it would take 6 month's to reach our original goal, within 69 days we have exceeded our goal and achieved over $46,000 in donations. Unbelievable to say the least. Humbled and honored to convey THANKS to everyone, we did it and it was only possible with the help of everyone involved. We volunteer to help people and now those people have done it for us. Thank You !! Happy New Year to everyone ! Our campaign is not over yet, the donations continue to roll in, we thank all those who have donated, as you can see we have surpassed our initial goal, but we still have needed PPE to purchase. If we can reach $42,000 we will be updated on most of our PPE. Thanks again to all of those who have donated, keep spreading our campaign ! !